A new car more often: With payments spread out over a shorter period of time, you can drive a new vehicle more often. Low monthly payments: Lease payments are traditionally lower than retail finance payments on the same vehicle. Only pay tax on the monthly payment (vs. paying taxes on the full purchase price of the vehicle when you finance). No fees: Mazda Financial Services has no administration or vehicle disposal fees. Flexible terms up to 60 months on select models. Keep more cash to use or invest. Lease or finance a new Mazda and qualify for our Owner Loyalty discount. Purchase the vehicle for a predetermined price shown on your lease contract plus applicable taxes and fees. To lease or finance a new Mazda or finance a Certified Pre-Owned Mazda, you must first return your current vehicle and have an inspection completed. During the final 45 days of your lease, you will be contacted to arrange an inspection of the vehicle. The inspection will be performed by an independent inspection company at no cost to you. Following the inspection, you will receive a detailed condition report with the estimated charges for excess wear (if any). At this time, you have the opportunity to repair your Mazda prior to maturity. 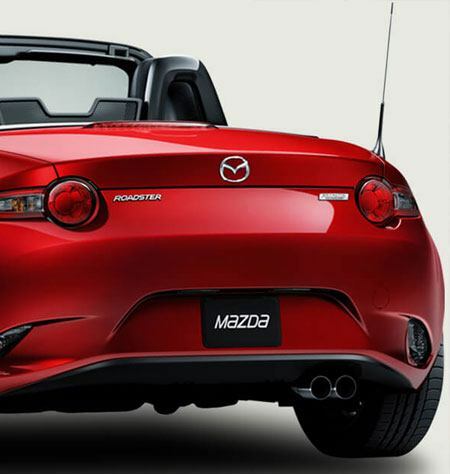 Should you repair your vehicle at your Mazda Dealer, no further inspection will be required. If you choose to have your vehicle repaired elsewhere, then a second inspection will be required at your expense. Please use our Wear and Tear Guide to help you assess any excess damage to your Mazda. If you purchased Mazda Wear Protection Insurance when you leased your Mazda, please familiarize yourself with your rights and obligations under that coverage. To ensure that you receive the full benefit of returns under the policy, we recommend that you contact your dealer to arrange for a preliminary visual inspection where any covered wear conditions can be corrected prior to the final vehicle inspection. We can see how it would be difficult to part with your Mazda. If you decide to keep yours, you can purchase or refinance your current vehicle for the predetermined price shown on your lease contract plus any amount outstanding on the lease, applicable taxes, safety inspection costs, environment fees and ownership transfer fees. What do I need when I take delivery of my leased vehicle? Proof of Income, a Letter of Employment and a Paystub can be used as documents to represent proof of income. Vehicle and Plate Registration, if applicable. What are my options at lease maturity? The lessee has an option to either: lease or purchase a New or Certified Pre-Owned Mazda vehicle, purchase the vehicle at the end of lease term residual value, or return the vehicle to the originating Dealer. What must I do when I return my leased vehicle? Someone from Autovin will conduct a vehicle inspection close to lease maturity. If neither reconditioning nor excess mileage charges are needed, the lessee will return the vehicle to the originating Dealer. Am I required to regularly maintain my vehicle? Yes, the Lessee is responsible for maintaining and servicing of the vehicle. The lessee agrees to follow the owner's manual and maintenance schedule to make necessary repairs. Are deferral payments allowed on leases? No, deferral payments are not allowed. Only monthly payments are permitted. Standard lease = 24,000 km/year. Low kilometre lease = 20,000 km/year. Excess mileage can be purchased up front for standard leases (24,000 km/year) for all Mazdas for $0.08/km, except the CX-9, which is $0.12/km, plus all applicable taxes. Excess mileage will be assessed at the end of term for all leases (both standard and low kilometre leases), and is charged at $0.08/km for all Mazdas except the CX-9, which is $0.12/km, plus all applicable taxes. What is the lease-end value? Would I ever have to pay anything above the lease-end value? Lease-end value (residual value) is the value of the vehicle at the end of lease. The lessee has the option to purchase the vehicle at the end of the lease term at the residual value plus any amount outstanding on the lease, applicable taxes, safety inspection costs, environment fees and ownership transfer fees. To purchase your Mazda, simply visit your Mazda dealer to arrange for payment through the dealership. Who can I contact if I have any questions/comments/concerns regarding my lease? Mazda Canada Help Line for any concerns relating to the vehicle(s). Mazda Financial Services at 1-888-703-8857 or visit mymazdaportal.ca for any questions related to payments. Contact your dealer directly for any concerns relating to both your vehicle and payment concerns.